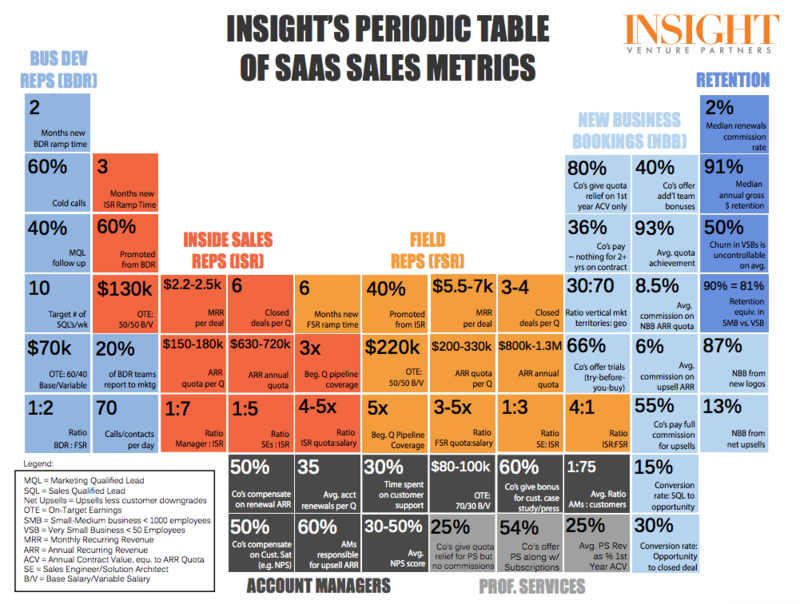 Our clients always want to know two questions: Are my customer-acquisition metrics on track? How am I doing compared to the other companies in my space? They are important questions—and not always ones with easy answers—as this type of information is rarely made publically available. However, we've found that VC firms and their partners are some of the best resources for this type of information and analysis. You need look only as far as Tom Tunguz, Jason Lemkin, Christoph Janz, and David Skok to find some of the best content on growing businesses on the Web. 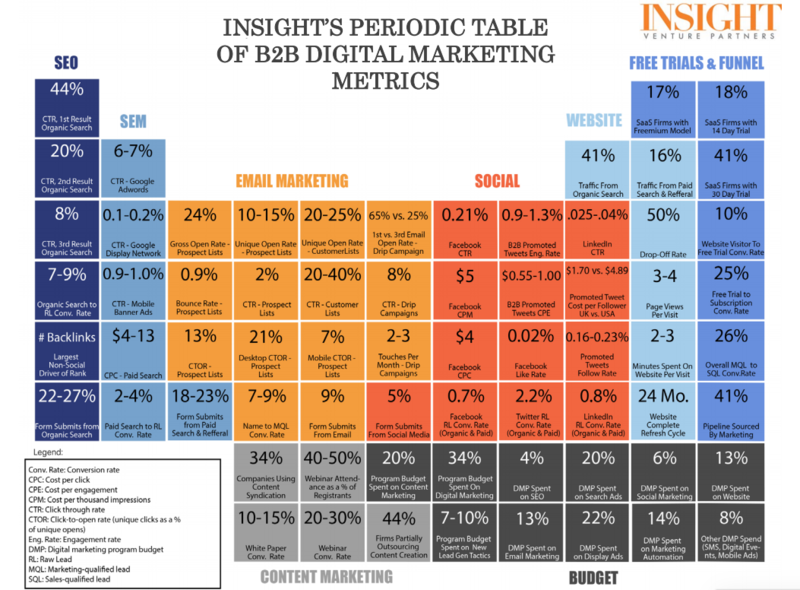 The latest firm that I've discovered publishing some amazing content is Insight Venture Partners, more specifically the Insight Onsite team, who recently published its Periodic Table of SaaS Sales Metrics and Periodic Table of B2B Digital Marketing Metrics. We couldn't pass up the opportunity to share them. Insight Venture Partners is a leading global private equity and venture capital firm founded in 1995. They have raised more than $8 billion and invested in more than 200+ growth-stage software, eCommerce, internet, and data-services companies. So, what do you think? What metrics stand out to you as the hardest to achieve, what are the low hanging fruit, or the most important to driving revenue at the end of the day? Let us know in the comments below.